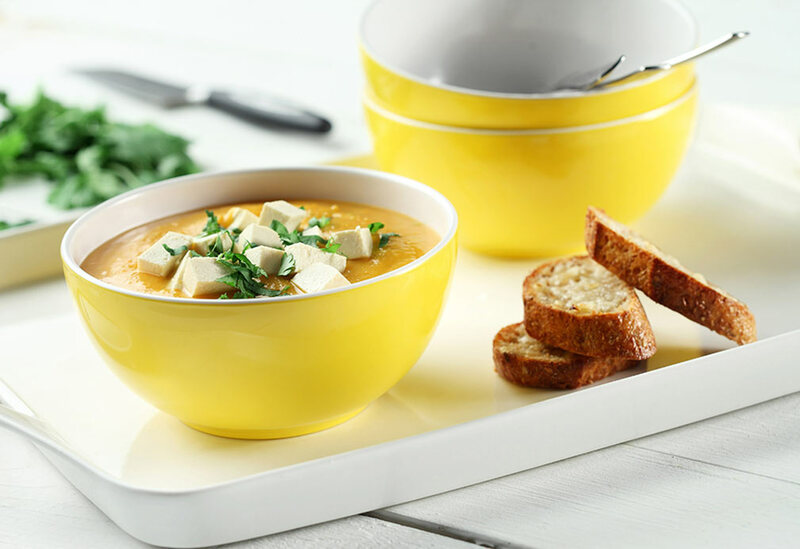 Delicious hot or cold, this soup features aromatic spices which add loads of flavor without excess calories. Canola oil's light flavor lets them come to the fore. 1. Rinse lentils in fine mesh strainer. In medium saucepan, bring water or stock to boil. Add lentils. Reduce heat and simmer, covered, for 15 minutes. Add cranberries and simmer for another 10 minutes. 2. In large skillet over medium-high heat, sauté onions and peppers in canola oil. Cook about 5 minutes or until just softened. 3. Add tomatoes, cinnamon, cardamom, cayenne, paprika and salt. Cover, reduce heat to low, and cook 8 minutes or until tender. 4. Stir vegetables into cooked lentils and simmer for 5 minutes. Sprinkle each serving with parsley. Cook's Tips: Feel free to replace the cranberries with any available chopped dried fruit, such as pineapple, apricot, currants or mango. If using vegetable stock that contains salt, omit salt from recipe. 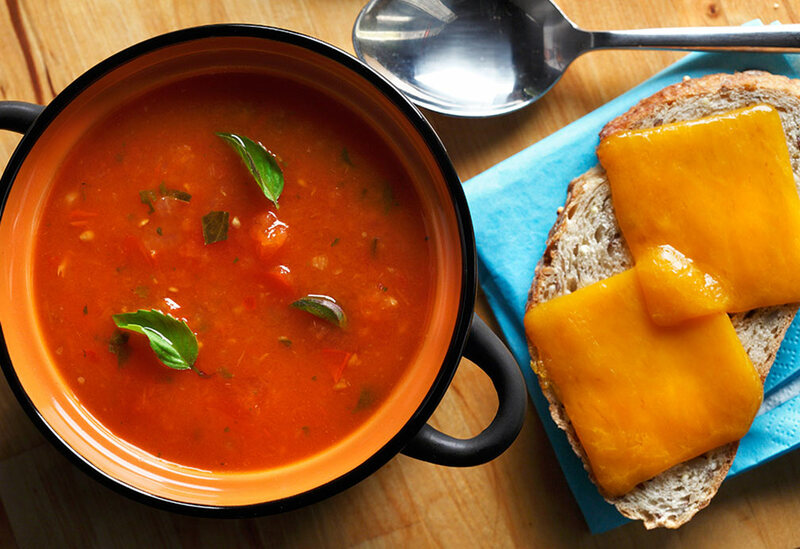 This is the perfect cold soup for a hot summer day. It is also a tasty way to get a serving of vegetables! 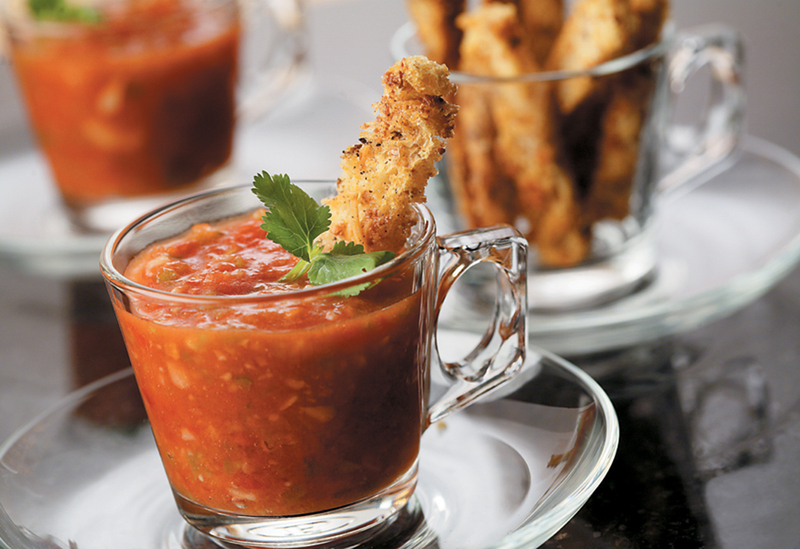 This hearty soup combines tomatoes with the classic flavors of basil, garlic, onions and red peppers for a comforting meal. The grilled cheese crostini offers the same taste as the classic sandwich, but with fewer calories and carbohydrates since it's open-faced. 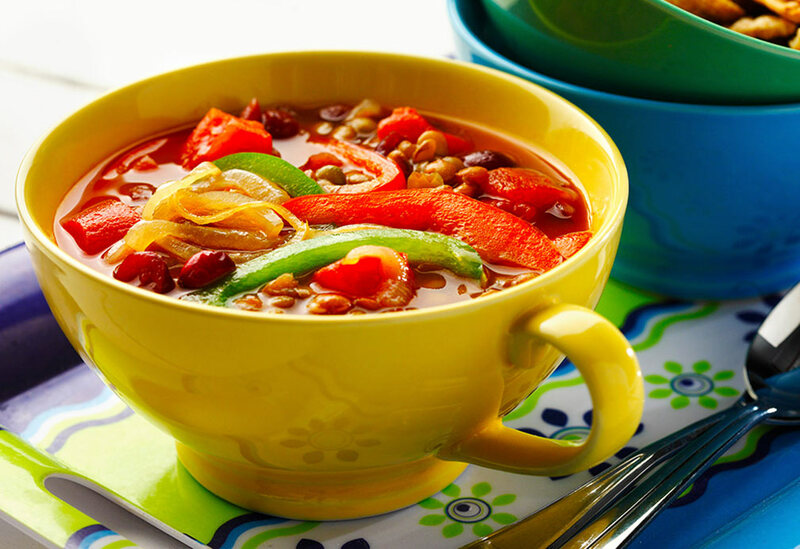 Warm your heart with this flavorful Thai soup.